On Wednesday the Tigers of Dawson made the trip to the east side of Gainesville to face the Vikings of East hall High School. After falling short in game one to the Vikings, the Tigers were looking to even up the series at one game a piece heading into Senior Night on Friday. Taking the hill for the Tigers, Chandler Caine took the loss despite a very good pitching performance. 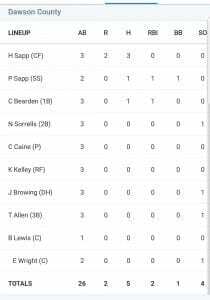 Caine went six innings allowing 5 runs all earned on five hits, three walks and eight strikeouts. Defensively the Tigers played error free ball in the 5-2 loss to the Vikings. 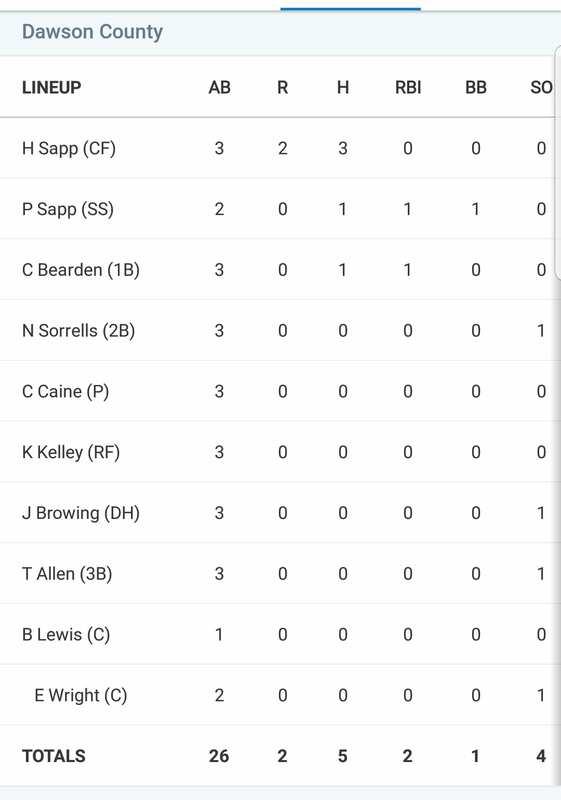 At the plate for Dawson, Hudson Sapp(3-3 with 2 runs scored), Palmer Sapp(1-2, walk and 1 RBI) and Connor Bearden(1-3 with 1 RBI) provided all the offense for the Tigers. 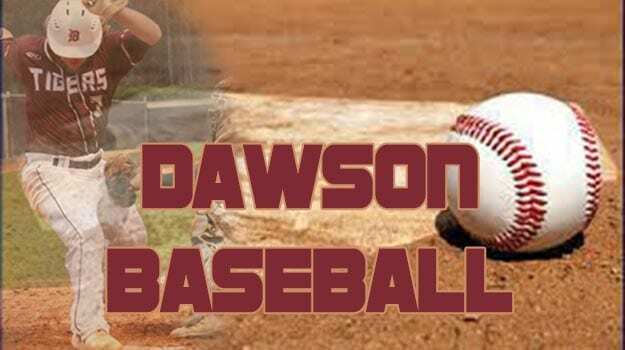 Dawson put up a run in the first and a run in the third but could not fight back after the Vikings put 4 of their own up in the bottom of the first. The Vikings added one more in the fifth inning to seal the 5-2 loss for the tigers. Next up for the Tigers of Dawson will be against these same Vikings at home on Friday. Before the game the Seniors of Tigers baseball will be recognized. Scheduled first pitch is set for 5:55 pm.